What's that you say? You're hungry? Right this very minute? Then you need a farmer. You have the stories of so many right here on your table! 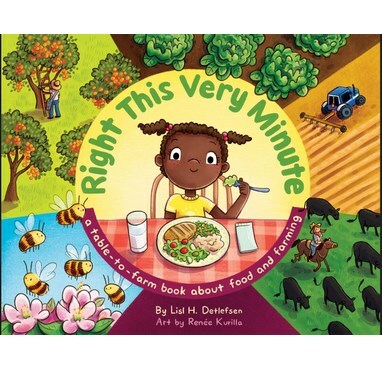 Award winners Lisl H. Detlefsen and Renee Kurilla's delicious celebration of food and farming is sure to inspire readers of all ages to learn more about where their food comes from - right this very minute!